Hi friends! I have missed you all so much this past week. I didn't realize how much my sanity and creativity depend upon this blog outlet for me. Without it this past week, I've been a sick, grumpy mommy with way too many ideas in her head and not enough energy to do any of it. I am finally on the mend again, and will be back up and crafting next week. In the meantime, I can't wait to surf around your projects. You always spark my creativity and crafting excitement. Did you check out all Pam's Party and Practical Tips this week while I was away? I was inspired by Kyle's homemade pizza post. 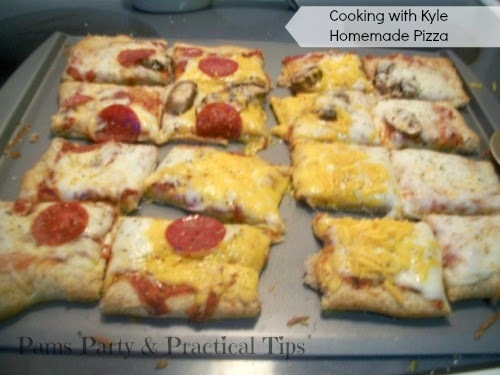 I used to make homemade pizza for my kids all the time, but it's been a while since we did this. I've added it to my Dinner menu next week. The kids will be so excited. 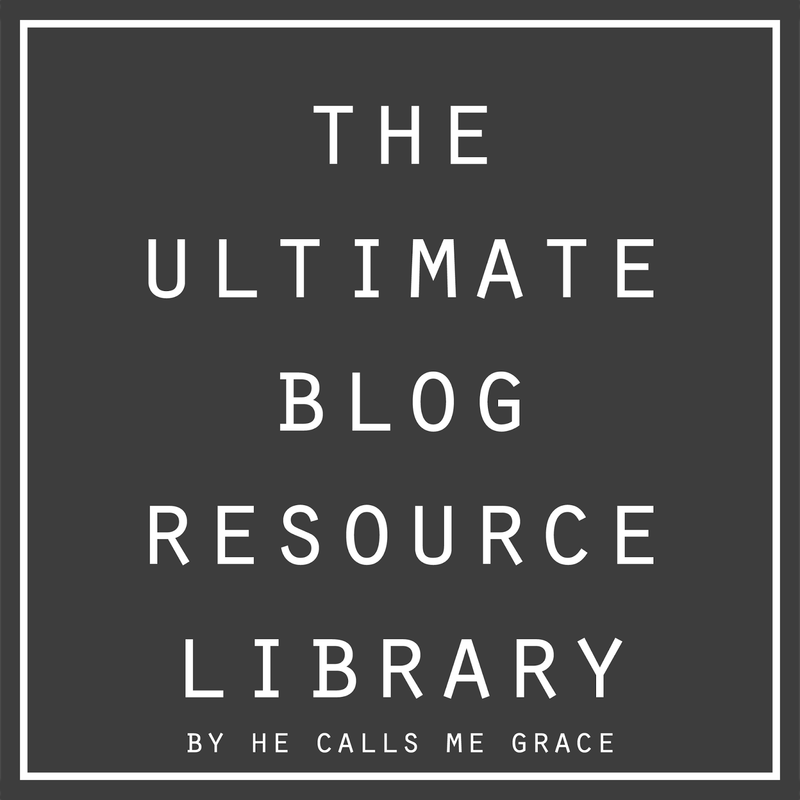 I was also super excited to check out all the great resources in The Ultimate Blog Resource Library by He Calls Me Grace. Have you looked at the great resource it is for bloggers? I've only made it through a few pages, so am going to spend a little time this weekend looking through a few more.